Holloway Park in Lakeland will be the site for a quadruple regional featuring 4A-2, 3A-2, 2A-3, and 1A-2. 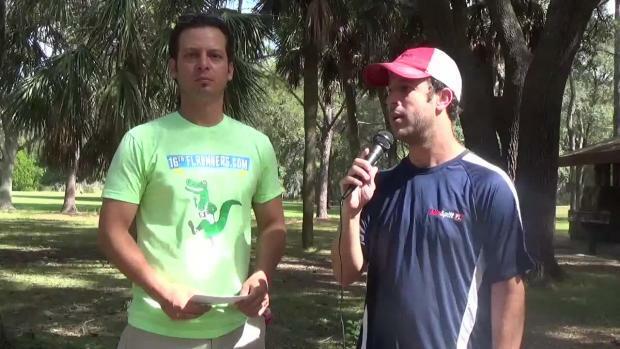 Flrunners.com will be on-site with video coverage by Todd Grasley and Billy Simpson, photos by Jeff Adams and Donald Lamb, race recaps by Andy Warrener, results, and much more! 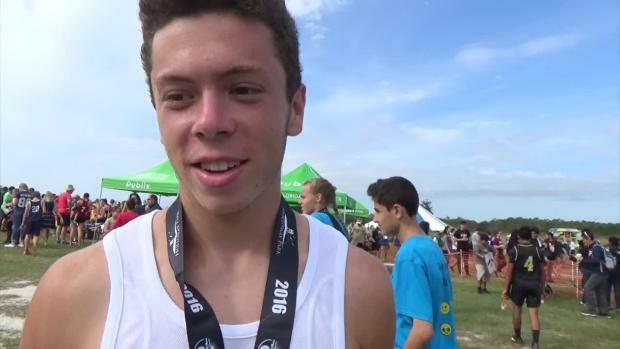 In the meantime check out our video previews of each race as well as how our virtual meet predicts each race playing out on both the individual and team front. 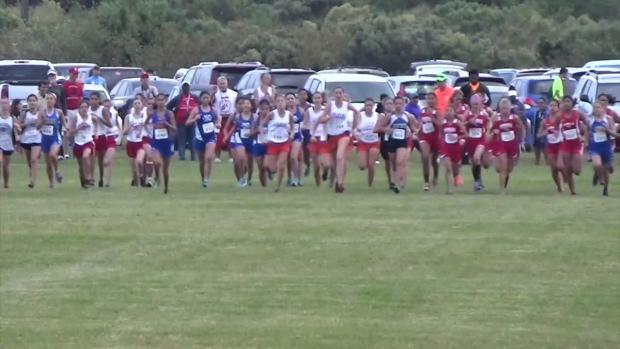 Both individual races in 2A- Region 3 were dominated by individual runners. 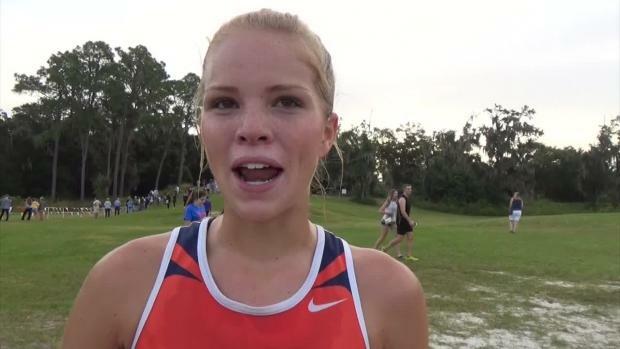 On the girls side, it was Lemon Bay's Kelsi Oglivie, on the boys side it was Lake Wales' Paul Stafford. 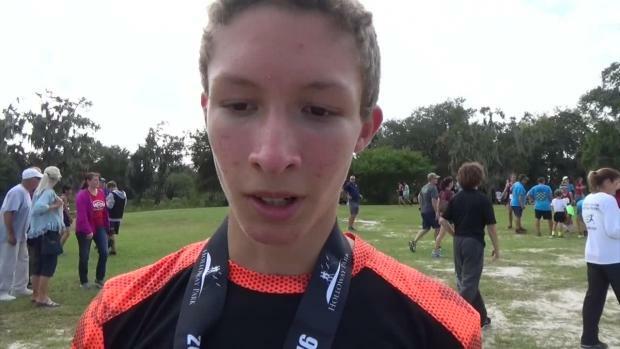 The Lely boys led by Joshua Wagner won the regional title over Dunbar while on the girl's side Academy of Holy Names and Berkeley Prep both used their depth to finish 1-2. Andy Warrener recaps all the action. Donald Lamb was on-site at the 2A Region 3 Championship at Holloway Park and snapped over 700 photos including this one midway through the boys race with a pack of runners that all happened to be wearing red or orange. The red sea didn't seem to part ways has the group stayed together for the rest of the race. Jeff Adams was on-site at the 2A Region 3 Championship at Holloway Park and snapped this photo of SEVENTH grader Cristal Gomez of Frostproof who placed fourth to advance to the Cross Country Finals. 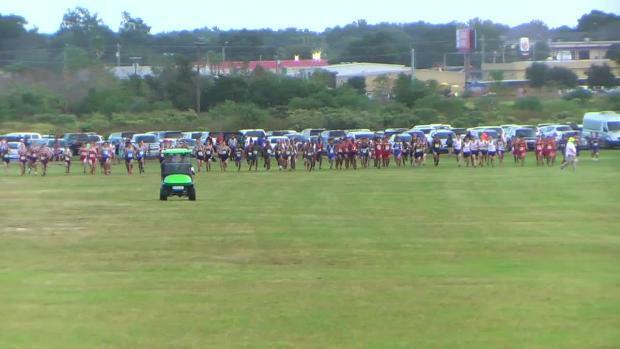 Equally impressive was her time of 19:57.35 surrounded by five upperclassmen in the top six.